Tata & Howard is providing engineering services to the Grafton Water District for the Trinity Avenue Pump Station at the Trinity Avenue Wellfield. The project included permitting, design, and bidding of the pump station as well as providing assistance with permitting, design, and reporting to the Massachusetts Department of Environmental Protection (MassDEP) for the proposed Trinity Avenue Well site. 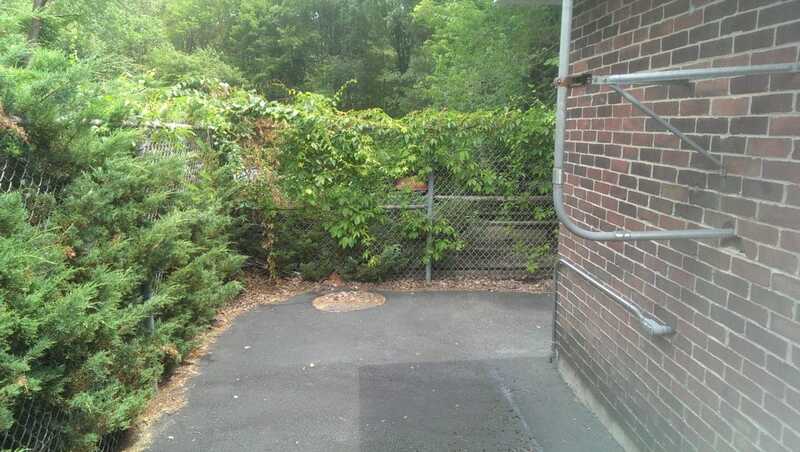 The property was owned by the Massachusetts Division of Fisheries and Wildlife (DFW). The Grafton Water District swapped land with the DFW to obtain ownership and control of the Trinity Avenue site. 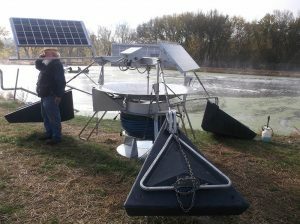 Test wells were installed and short term pump tests were completed on each of the wells. Based on the results of the tests, it was recommended to install a three well configuration of 18 inch x 12 inch gravel packed wells resulting in approximately 800 gallons per minute (gpm). 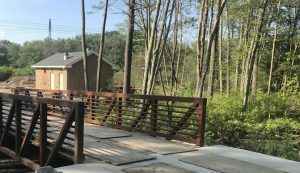 The project included an evaluation of alternatives for the access road including installation of a bridge or an open bottomed culvert, and T&H assisted with the preparation of permanent easements for the installation of utilities and roadway to the well site. 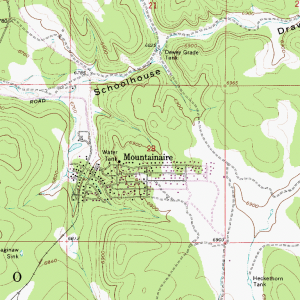 In addition, T&H prepared and submitted an NOI to the Grafton Conservation Commission. 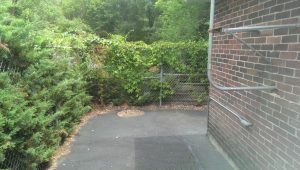 Design included double wythe block and interior concrete painted block with wood truss roof and asphaltic shingles; and security included chain link fence, gates, locks, intrusion alarms, and lighting. T&H also assisted with the coordination of the installation of three phase power to site. Chemical feed at the station includes KOH for pH adjustment and chlorine gas for disinfection. Standby power was included in an outdoor enclosure. The design also included a 24-inch transmission main for 4-log removal. 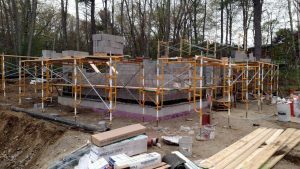 Currently, T&H is providing construction administration and resident observation services. 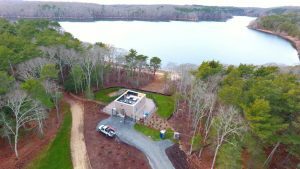 Tata & Howard assisted Maine Water Company with mechanical, structural, and architectural design of a new high service zone booster pump station on Barra Road within the Biddeford-Saco water distribution system. 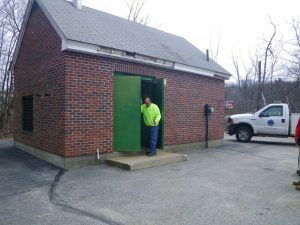 The new pump station replaced the existing Alfred Road station, providing pumping capacity to meet current demands in a majority of the City of Biddeford as well as room for future expansion. 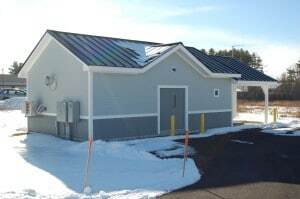 Funding for the project was provided in part by the Maine Drinking Water Program State Revolving Fund (DWSRF). Mechanical design for the project consisted of sizing and selection of three (3) centrifugal booster pumps, associated piping, and appurtenances. 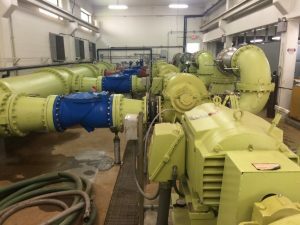 The pumps were sized with input from a hydraulic model of the system developed by Tata & Howard, and they were selected to maximize the available flow from a 16” cast iron pipe line that crosses the Maine Turnpike from the water system’s major storage reservoir. 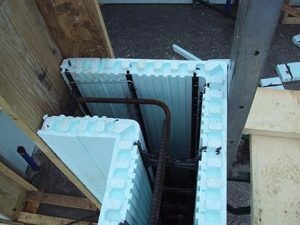 A pipe gallery was incorporated into the slab and foundation design as well as insulated concrete form (ICF) foundation walls. Per the Owner’s request, the architectural design used colors and materials similar to the other buildings within the surrounding commercial office park. Also, a gable roof canopy was added to the design (pictured below) to help shield the emergency backup generator from the elements. Precautions were taken to ensure proper air flow and ventilation was achieved to meet the requirements of the generator. Construction of the pump station was completed in 2015. THE CHALLENGE: The existing wastewater treatment facility was 40 years old, costly to operate, and did not meet state and federal water quality standards. In addition, the Towns had very limited funds with which to upgrade the treatment facility. THE SOLUTION: Tata & Howard helped the Towns secure a $2.412 million low-interest, long-term loan and $1.69 million in grant funds from the U.S. Department of Agriculture (USDA) Rural Development in order to build the new facility. 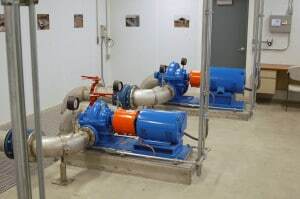 Tata & Howard, Inc. provided complete consulting engineering services for the construction of the wastewater treatment facility project which included the complete upgrade of four pump stations as well as the upgraded 0.185 mgd, 3-cell lagoon wastewater treatment facility. 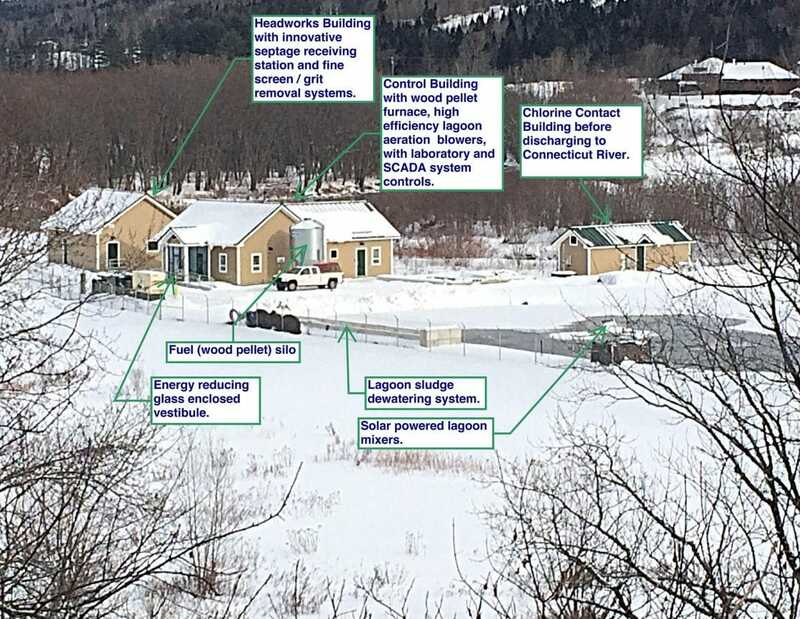 In addition, Tata & Howard’s St. Johnsbury, Vermont office, formerly Leach Engineering Consultants, provided full design services for all of the upgrades. 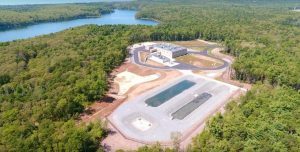 The Towns now enjoy a state-of-the-art, reliable wastewater treatment facility that meets the Effluent Discharge limits to the Connecticut River and provides for a more efficient treatment process. The new influent screening and grit removal processes extend the life of the treatment facility components. 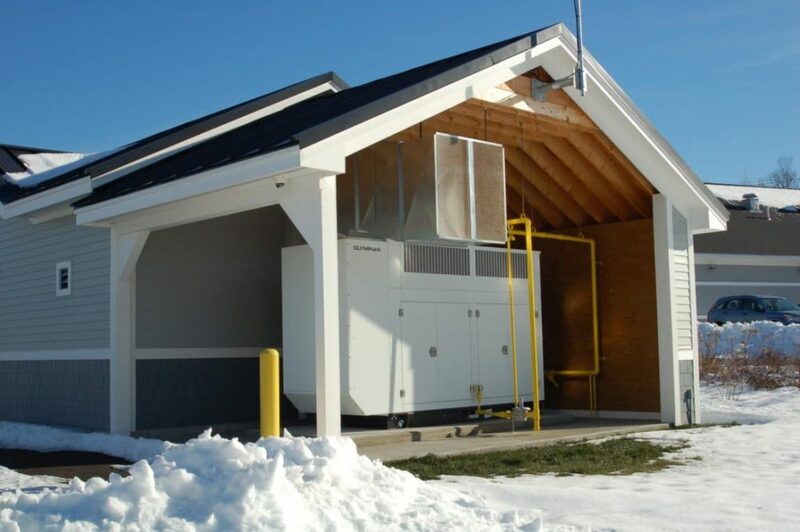 In addition, septage receiving provides for additional income and also provides service to the residents of the Towns that are not on public sewer. 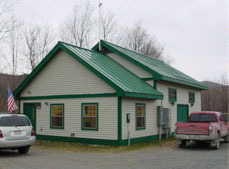 The design included numerous energy-efficient features such as variable-frequency drives (VFDs) on aeration blowers, solar-powered lagoon mixers, a wood pellet boiler for heat, energy-efficient windows, and insulated concrete form (ICF) walls, resulting in a reduction in annual operation and maintenance costs. 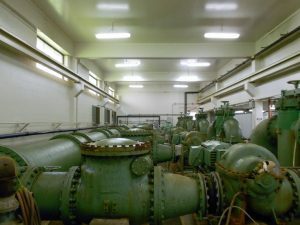 The pump stations were upgraded to eliminate operators entering below grade structures and to allow for future pump replacement that would be lower cost with it would be with the original centrifugal pumps. 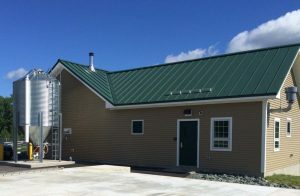 PROGRESS: The project is complete, and the Towns celebrated the completion of their shared $4.12 million wastewater treatment facility with a ribbon-cutting ceremony in Canaan, VT. 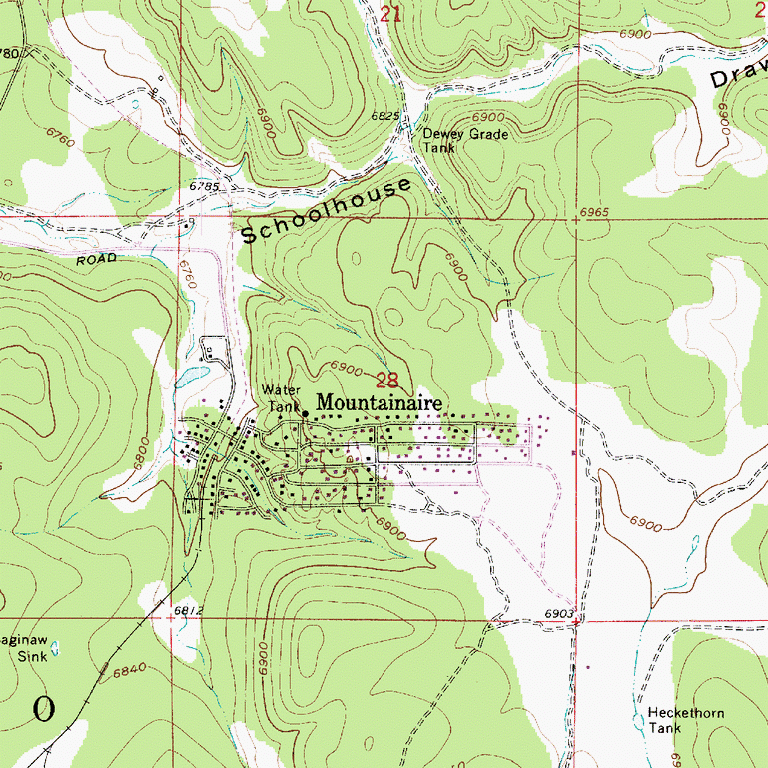 THE CHALLENGE: Mountainaire is a small water distribution system with limited manpower and revenue resources, and the operation and maintenance of the system is often reactive rather than proactive. We successfully helped secure WIFA funding for the completion of the study which provides guidance to the PUC on how the system operates, what improvements are needed for efficient operation and continued maintenance of the system, and a prioritized approach to assist in funding and implementation of projects. 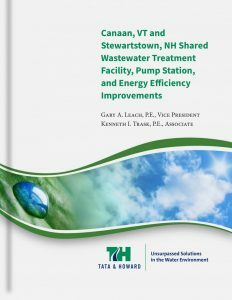 This asset management based water distribution system study addresses undersized deteriorating water mains, above grade assets, and the energy efficiency of the pumping system. The study evaluates the system as a whole, based on above grade and below grade assets. Above grade assets are evaluated based on remaining useful life expectancy. Water mains are based on hydraulic capacity, criticality, and risk of failure. A hydraulic model was created for the study. PROGRESS: Using the findings of the study, we are currently providing engineering services to evaluate flow and pressure requirements for the existing Kiowa Site booster pump station in order to construct a constant pressure pumping system to replace the existing booster pump and hydropnematic tank system that is old and failing.